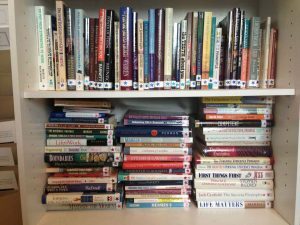 You are here: Home / Free Tips / Tips for the Home / I Love Books! OK. I have a confession to make. It’s a good confession, so here goes. I love books. I am a bibliophile! I use my books over and over again in all my various roles in life. So, it’s imperative that I have a good strategy on how to organize my books. Here is one way in which you can organize your books. This is how I do it, and it works great. I organize by subject, and as you can see in the pictures, I use stars and dots to distinguish the subjects. The blue stars are all about your destiny or purpose. The red stars are all about getting organized or time management (Christian), and the red dots are organizing books that are not Christian. It takes a little time to use these stars and dots, but whenever you move or rearrange your home or office and have to take all of the books off of the shelves, they are easy to put back and also easy to find because the stars and dots really stand out. 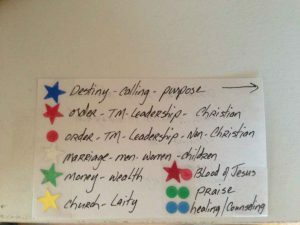 I have a white 3 by 5 card, pictured above, that labels the subject of each star and dot, so that when I want a book on destiny, I refer to the 3 by 5 card that tells me the destiny book I am looking for is labeled with a blue star. Voila, book found in no time! 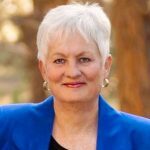 Hope this helps as you eliminate the books you don’t want and set up a new system for the books that are very valuable to you.